This coffee will be fresh roasted for you. 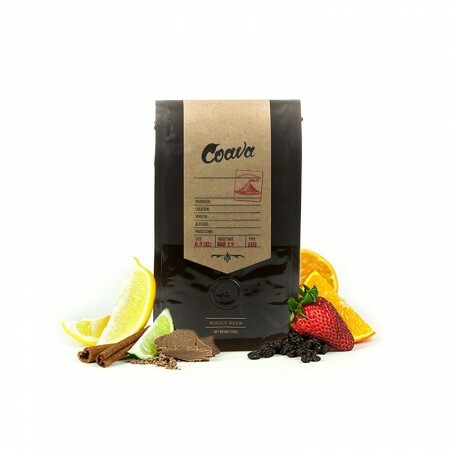 We expect Coava Coffee Roasters will roast and ship this coffee in 1-2 business days depending on their roasting schedule. The Kenya Karuthi AA was carefully roasted for you by Coava Coffee Roasters. This fully washed coffee was grown by the Othaya Farmers Cooperative in the Nyeri region of Kenya at 1,845 meters above sea level. The cup is complex, multi-layered, spice-toned with notes of rhubarb, caramelized sugar, molasses, caramel, currant, blackberry, coconut and ginger blossom. Slightly strong raisin flavor but overwell a good cup! Kenya AA never let me down. strong and high quality acidity with the clear aroma of black currant. Love it! Quintessential Kenyan (yes, that sounds absurd and snobby but true nonetheless); excellent, excellent coffee. Notes of melon, dark berry/chocolate.